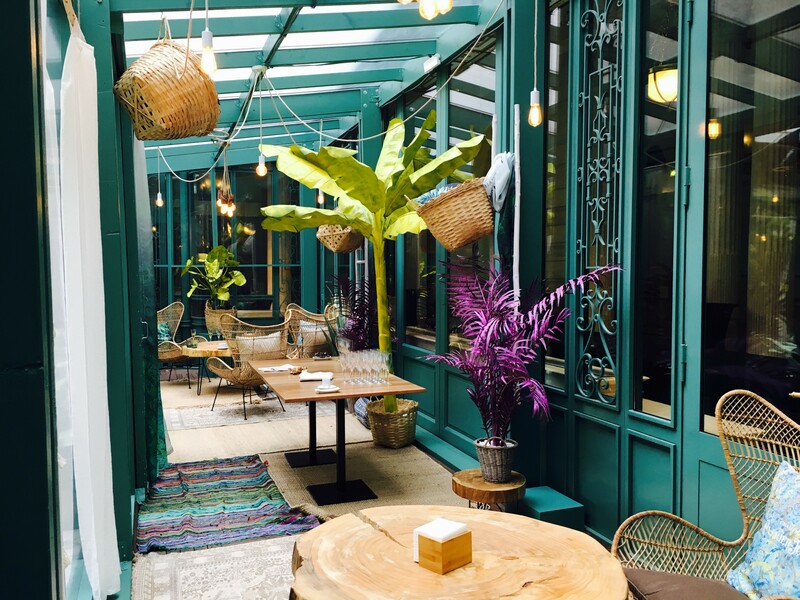 Situated in the center of Paris, a little bohemian abode is tucked away into the Westin Hotel. Themed as “The Winter Garden”, this pop-up restaurant is only open until the end of April. Normally, this location is the Westin’s Le First restaurant, but they have completely redone the décor and the style. 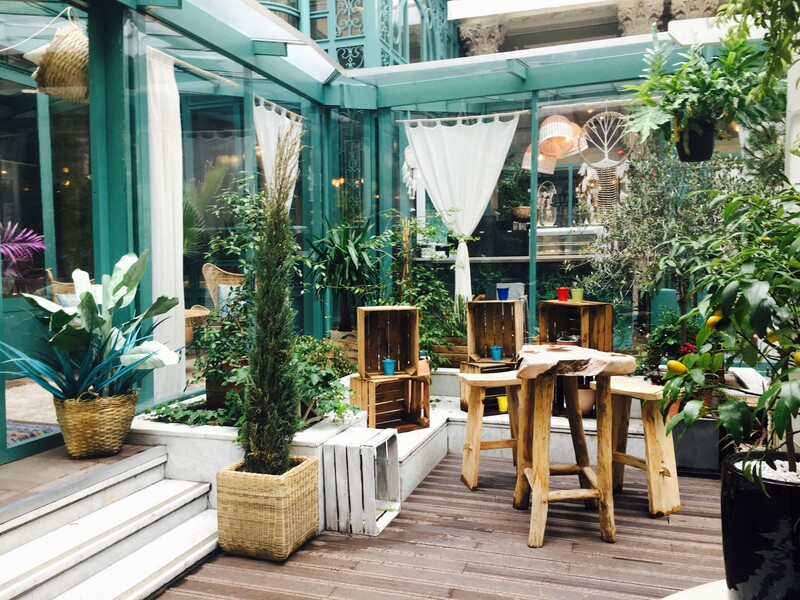 Jardin d’Hiver features a relaxed ambiance with a seasonal menu with starters around €20 and main courses around €30. ‘Bohemian’ is a French word meaning “gypsy” and refers to an unconventional nomadic way of life. Now, ‘bohemian’ has become a trendy style expressing artistic décor that is colorful and free-flowing, with an eclectic style. This eclectic space is an enclosed terrace with all-natural sunlight and a bright blue awning structure. You can feel the sun on your skin while staying away from the winter chill. In the center is an open-air patio with swings hanging from the structure, an array of different plants and candles on the ground, and wooden chairs and tables giving a nomadic vibe. String lights are hung throughout the restaurant and outdoor area. Chandeliers made out of wood, woven hanging lanterns, colorful patterns, and massive dream catchers all add into the bohemian décor. You can’t help but feel warm and cozy. It is open for lunch and dinner and features a bar if you just want to grab a drink and swing in a hanging chair. Chef David Réal and pastry chef Florence Lesage created a small menu to mimic the vibe of the restaurant, focusing on simplicity and on seasonal flavours. 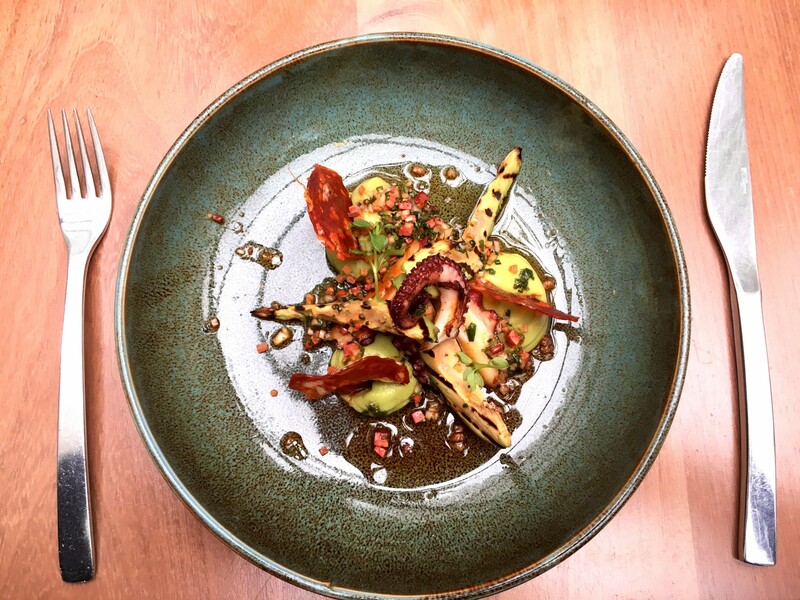 The dishes are categorized into ‘seaside’, ‘inland’, and ‘the essentials.’ Not only was the food cooked to perfection and the smallest of details were accounted for (the avocado was charred on a grill), but it was aesthetically beautiful. It was served like a Michelin restaurant plate. The dishes were a bit small, so it is recommended to order both an appetizer and a main plate. There is a set lunch menu for €39 including a starter, main, dessert, and a glass of wine. 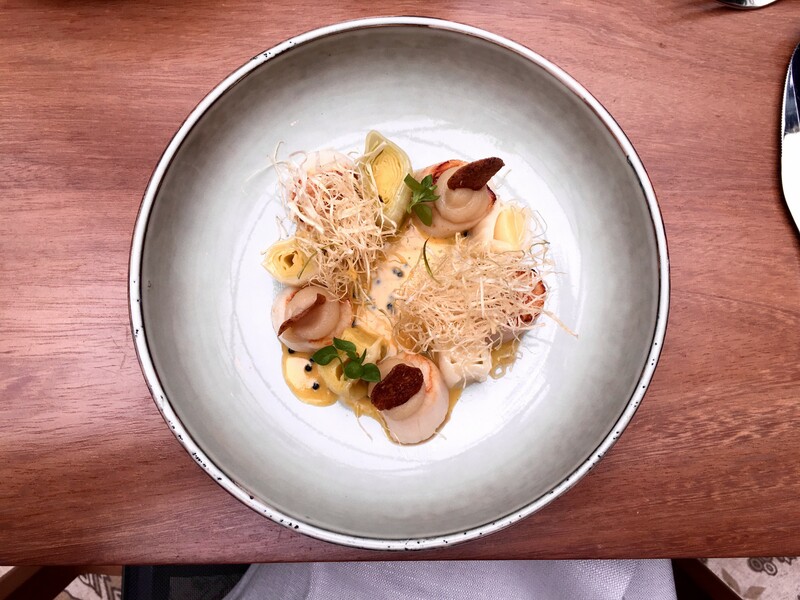 *Tip: booking a reservation through LaFourchette gives a 40% discount.